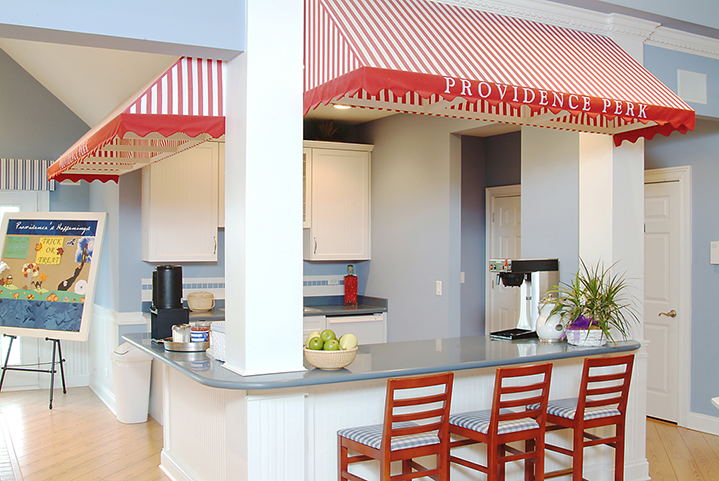 Providence Clubhouse - Marketing Specifics, Inc.
A unique and powerful sales center was needed to relay the seafaring “Nantucket” theme of the Providence development, including rich colors, weathered finishes, and nautical accessories. This sales center incorporates the look and feel of the community, while the functionally has a unique trapping system that flows potential buyers to the distinctive 14 model homes. 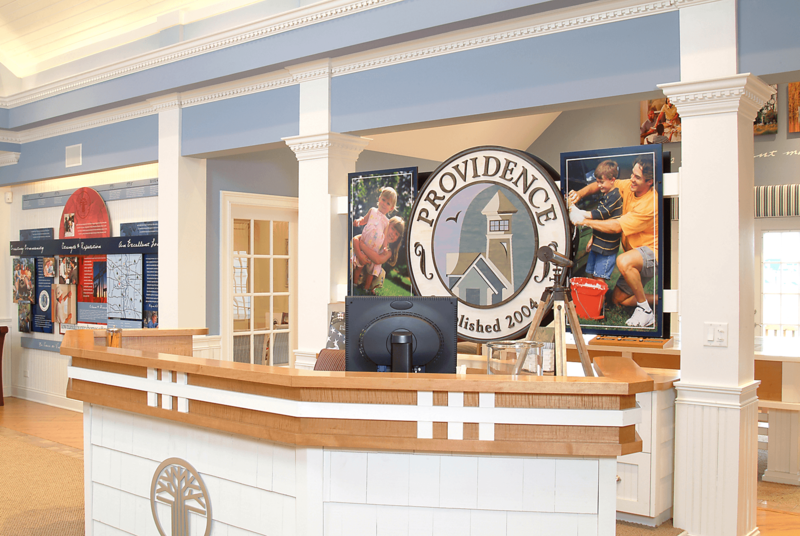 Everything about Providence is unique, from the activity area for children, which contains a mock lighthouse, to the highly themed interior design that includes weathered furniture and sisal rugs. 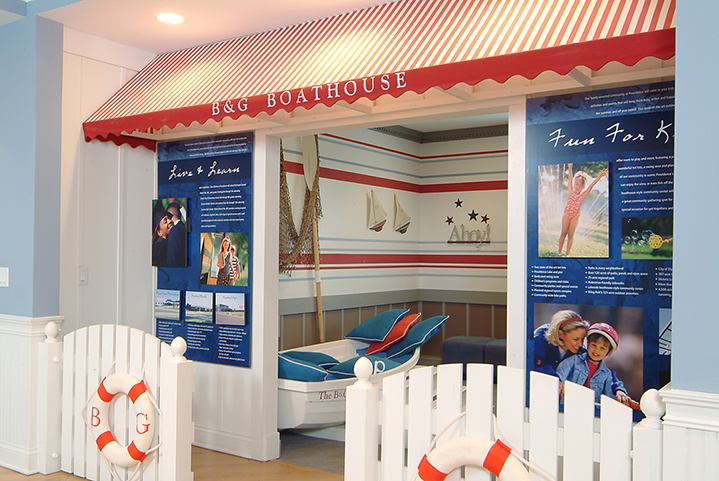 Families feel at home in the sales center and truly enjoy the environment that was created.